A luscious mane of hair is everybody’s dream. However, achieving this dream that is difficult. Long hair has long been a symbol of beauty and sensuality in many cultures. The road to those lovely flowing locks is long, but you can get there with a little help. Over time, knowledge regarding hair growth has increased. But due to contemporary diets and lifestyles, growing long hair may have been more difficult. The stressful lives that we lead can affect the health of most people’s hair. We may even end up getting stuck in a vicious cycle of stress-induced hair loss. While there is a whole industry thriving on the promises of lovely hair, commercial products often don’t do much to solve most hair-related problems. These commercial products may provide temporary results and cause more harm in the long term. 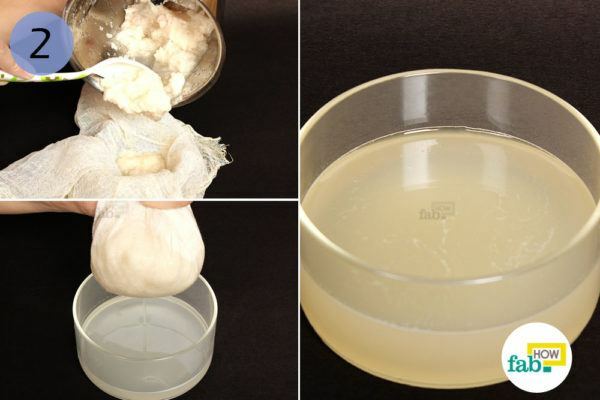 Natural home remedies are generally not harmful and, when used diligently, provide long-term results. Growing thick and long hair depends mainly upon two things– nourishing the body to promote hair growth and using topical remedies that nourish the hair roots and keep the scalp healthy. Even so, you’ll need to be patient as hair only grows ¼ to ½ inch per month, depending on various factors. A change in lifestyle may also be in order. Get plenty of sleep as growth hormones are released while sleeping. Also, distance yourself from hair styling as it can cause severe damage to your tresses. 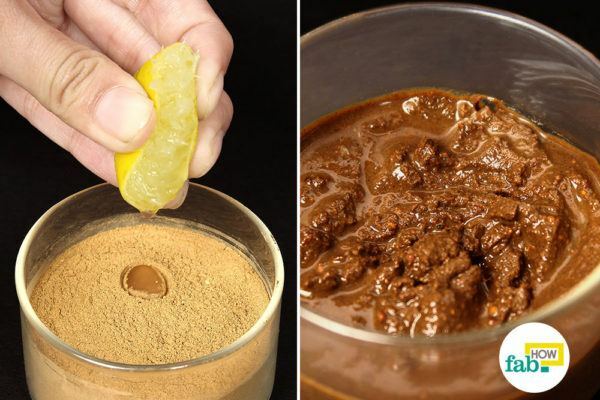 Here are seven home remedies (with real pics) to grow hair faster and longer. 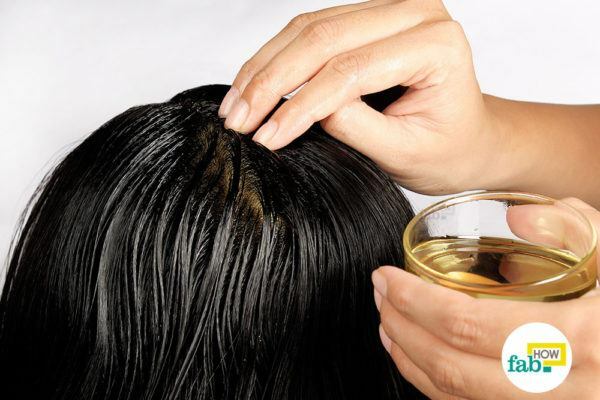 Massaging your hair with hot oil is a great way to promote hair growth. Massaging improves blood circulation, which promotes improved oxygen and nutrient supplies to the hair. 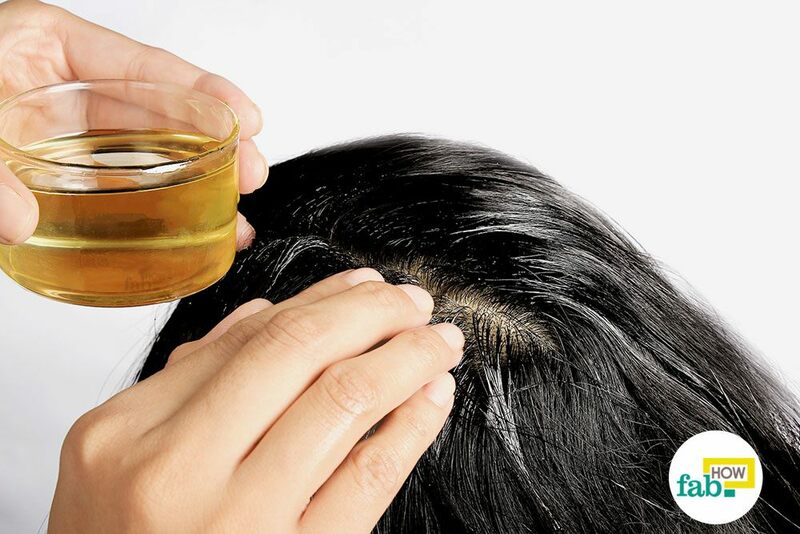 Hot oil also seeps into the hair follicles easily, providing better nourishment. Pour some coconut oil in a microwave-safe bowl and heat it into the microwave for 30 seconds, let stand for 1 minute. For best results use unrefined, organic coconut oil. 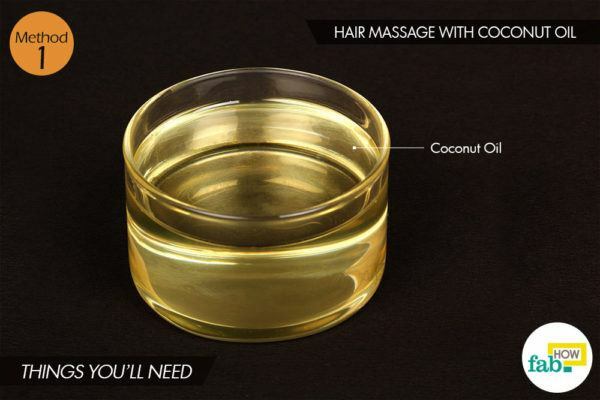 Coconut oil has a long history of promoting healthy hair growth. It keeps the scalp healthy and seals moisture into the hair shafts, which reduces breakage and results in a long and lustrous mane. 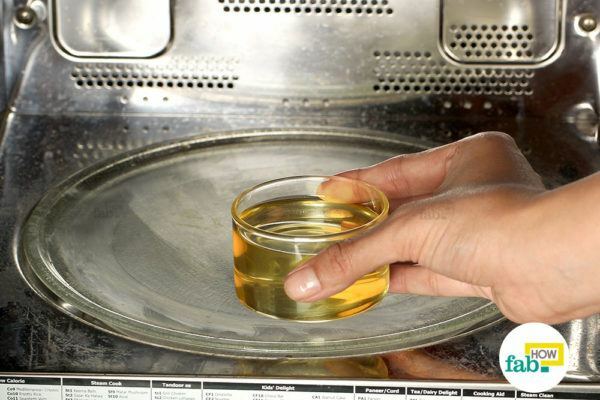 Test whether the temperature of the oil is bearably hot. Dip your fingers into the oil and gently massage your scalp using small circular motions, working the oil into the scalp. Let the oil stay on overnight. Shampoo and condition your hair in the morning as usual. Repeat the hot oil treatment once a week regularly. Heat a little olive oil in a microwave for 30 seconds. Make sure it does not get too hot. Olive oil is a tonic for dry hair. It provides moisture and makes the hair stronger, promoting growth. If your hair looks parched and rough, olive oil may help with hair growth. 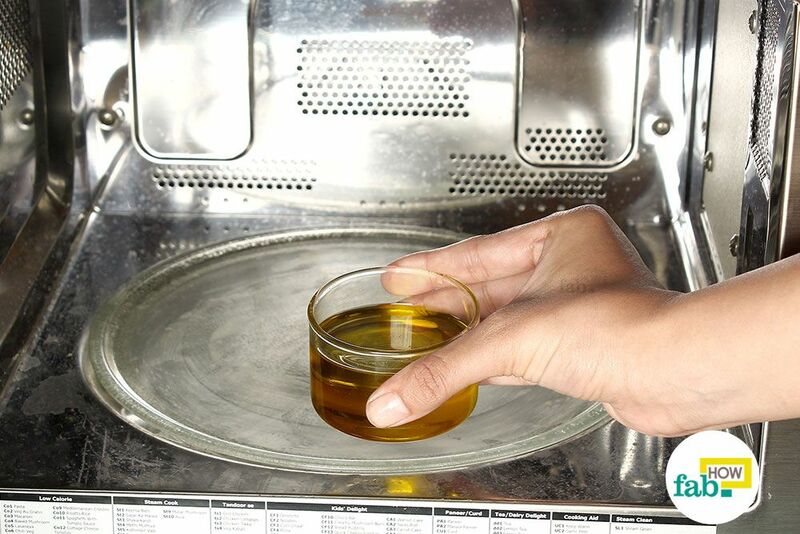 Test whether the temperature of the oil is comfortably hot. 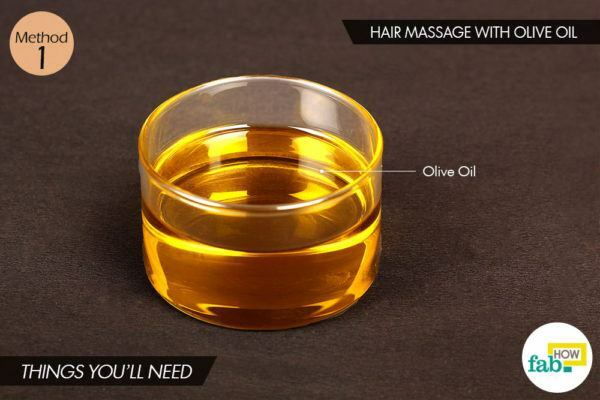 Massage the hot olive oil into your scalp with your fingers. Use gentle circular motions for a tender massage. Keep the oil on your scalp overnight. Shampoo and condition your hair the next morning. Repeat the olive oil treatment weekly for the desired results. 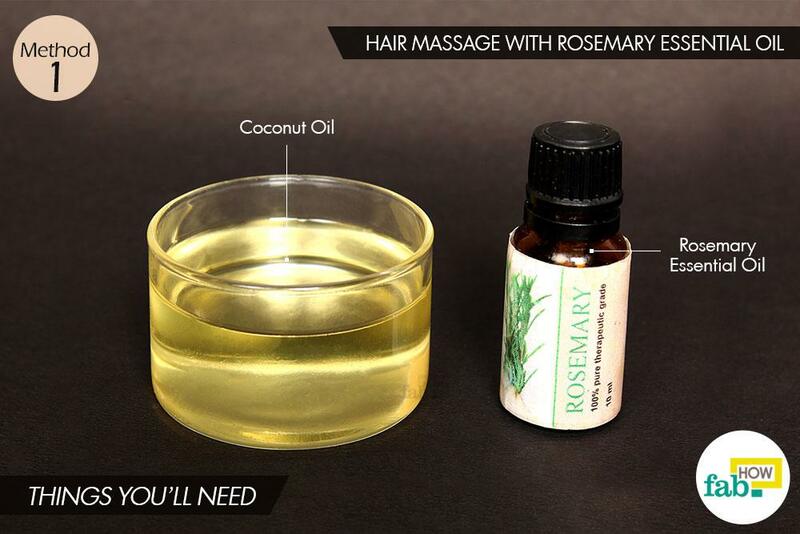 Add rosemary essential oil to coconut oil. 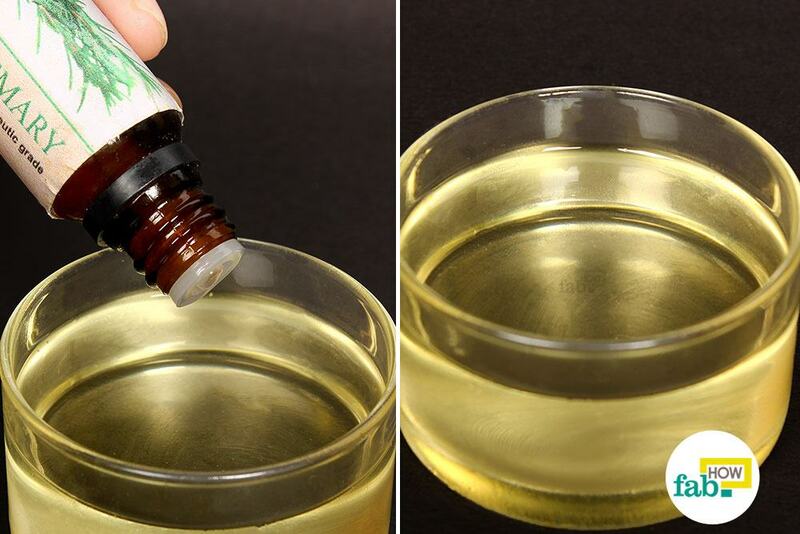 A general ratio of mixing essential oils into carrier oils is 6 drops per tablespoon of carrier oil. Blend in the required quantity. Rosemary essential oil stimulates hair follicles, which promotes thick hair growth. 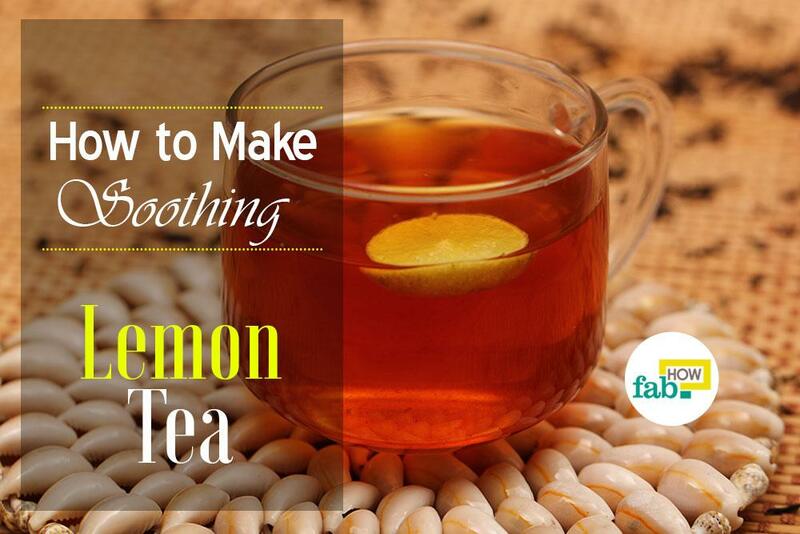 It is also known to inhibit premature hair loss. Grape seed essential oil is also good for promoting hair growth and can be used as a substitute. Essential oils are very potent and must always be used with a carrier oil. In addition to coconut oil, olive oil, and sweet almond oil also make for nourishing carrier oils. 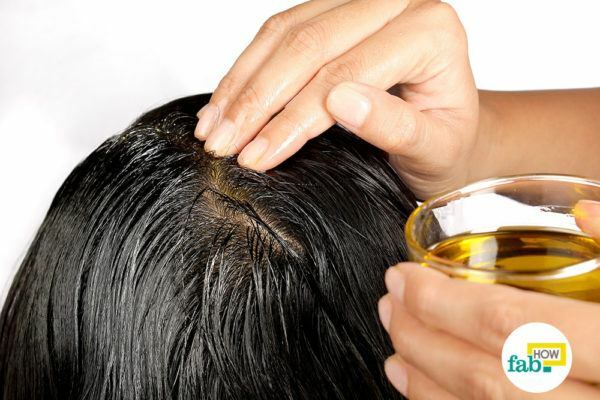 Work the oil blend into the scalp by slowly massaging it with your fingers. Leave it on for 30 minutes, so that it gets nicely absorbed by the scalp. Incorporate this oil treatment into your weekly hair care regimen. 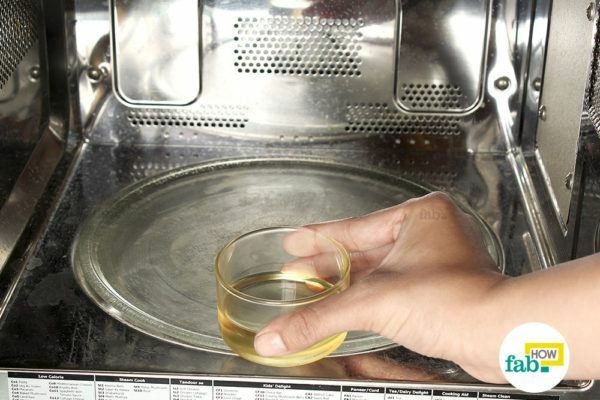 Heat some castor oil in a microwave for 30 seconds. Rich in vitamin E, proteins and good fatty acids, castor oil promotes healthy hair growth. It also balances the pH level of the scalp, which helps replenish the natural oils. 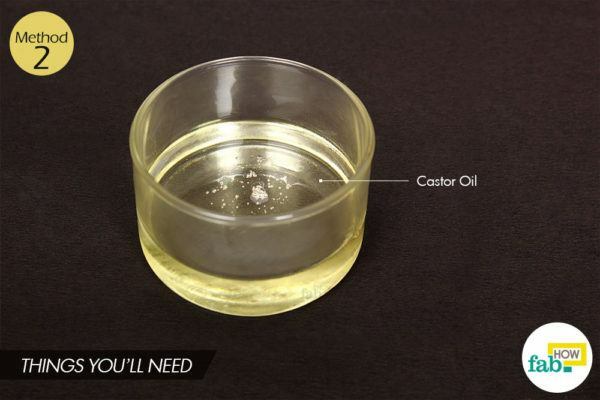 Since castor oil can be too thick and viscous to apply, you can also blend it with argan, avocado, jojoba or sweet almond oil. Ensure that the oil is the right temperature before applying. Give your scalp a slow massage with your fingers, working the castor oil into the roots of the hair. Wrap your head in a warm moist towel to help the oil absorb into the scalp. Let it stay on your scalp for 20 minutes or so before shampooing your hair as usual. Repeat the castor oil massage weekly for visible results regarding healthy hair growth. 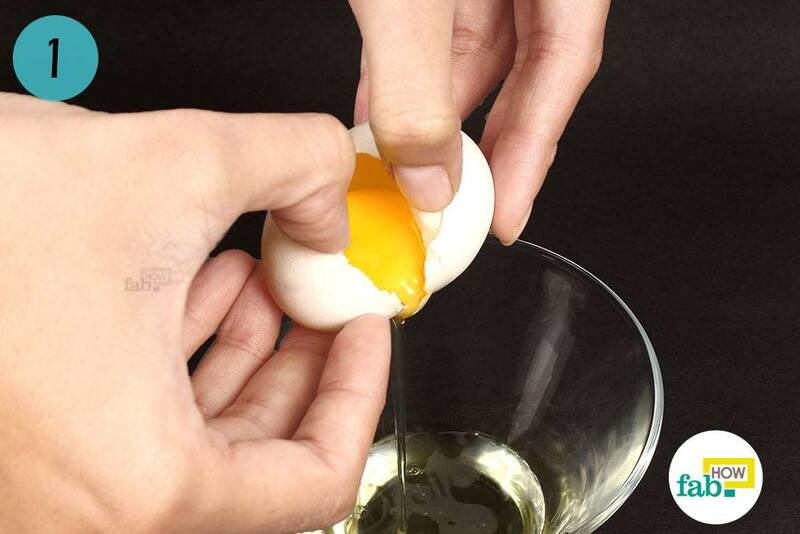 Extract the whites from an egg. Egg whites contain vast amounts of protein that can help you with hair growth. Egg whites help repair hair damage brought about by an unhealthy diet and lifestyle. 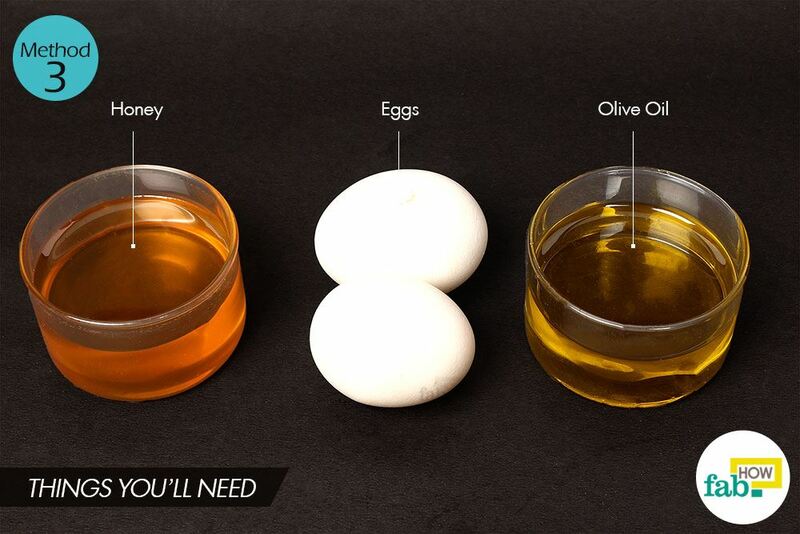 Egg whites are mighty helpful in skin remedies too. 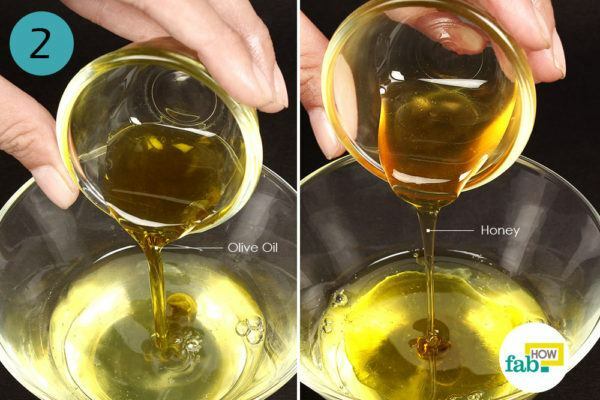 Add 1 teaspoon each of olive oil and honey to the whites and mix them together. Olive oil and honey will help hydrate parched hair and keep it healthy, promoting hair growth. Apply the hair mask, covering every inch of the scalp and hair strands. Use a hair dye brush to apply the mask. If you aren’t afraid to get your hands dirty, you can also apply it with your fingers. Let the hair mask set for 20 minutes. Rinse it off with cool water and wash your hair with a mild shampoo. Apply the mask weekly for visible effects. Peel and quarter 2 to 3 onions, depending upon the length and volume of your hair. Put the onions into a blender and blend on high to puree them. While stinky and unappealing, onions are a boon for hair. The antibacterial properties of onions keep the scalp clean and free of any infection. This prevents hair loss, and a healthy scalp gives rise to healthy hair growth. Arrange a cheesecloth over a bowl. Spoon the onion puree into the cheesecloth. 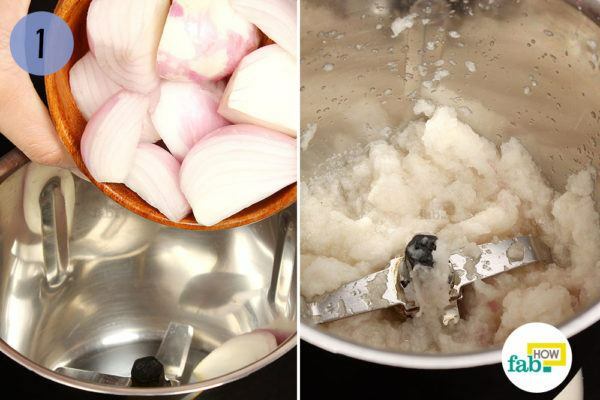 Bundle up the cheesecloth and squeeze out all the onion juice into the bowl. 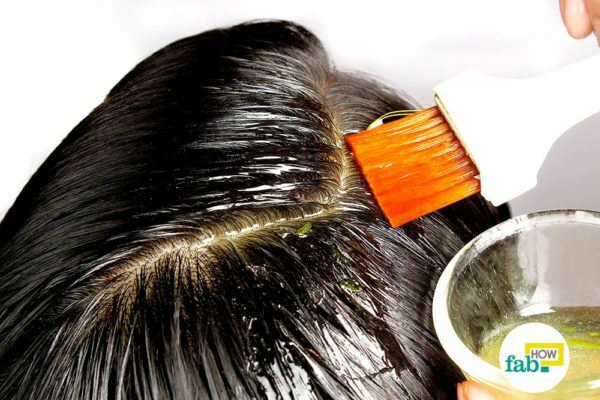 Apply the onion juice onto your scalp with a hair dye brush. 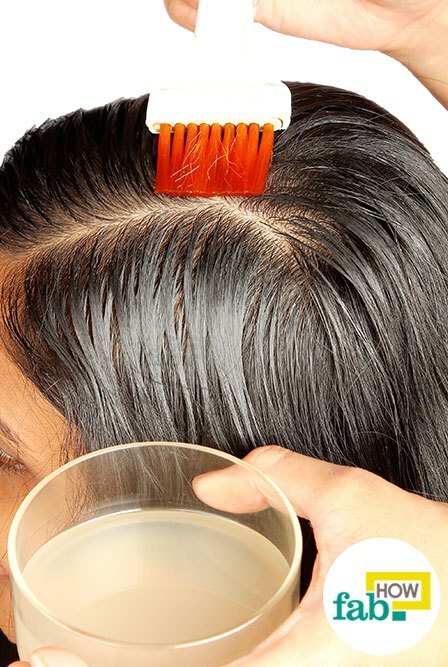 Saturate the entire scalp area and the hair roots with onion juice. 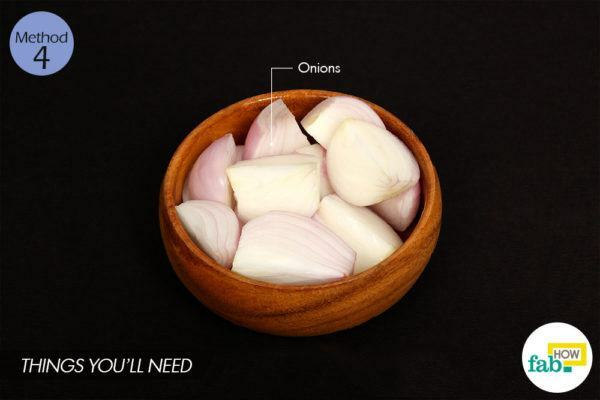 You can also use your fingertips to spread the onion juice over your scalp. Leave it on for 1 hour, or 15 minutes at the very least. Wash it out with cool water and a mild shampoo. 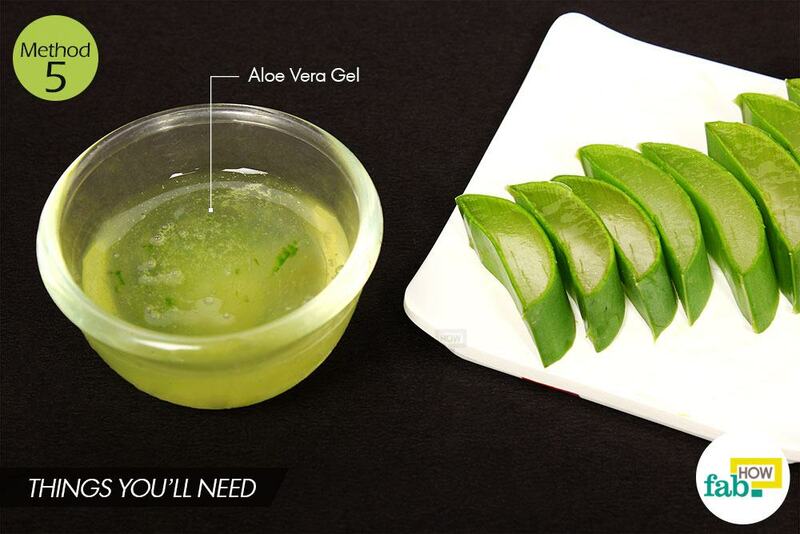 Apply the aloe vera gel using a hair dye brush, as it is quite slippery. Saturate the scalp and hair roots with the aloe vera gel. Coat the hair strands with it as well. You may use a shower cap to contain the mess. Keep it on your head for 30 to 60 minutes before washing it out with a mild shampoo. This remedy can easily be repeated twice a week. Aloe vera is a popular home remedy for skin ailments too. Add freshly squeezed lemon juice to amla powder. 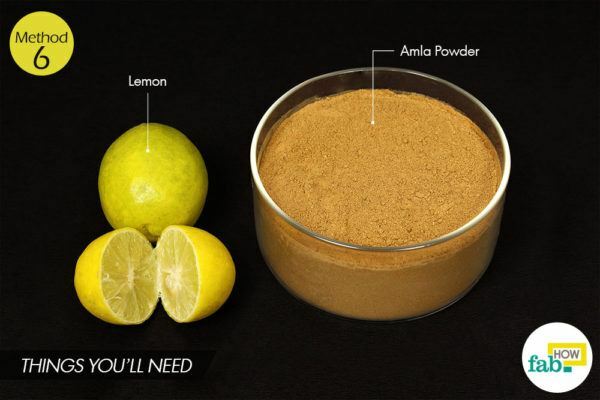 If you are sensitive to lemon on your scalp, dilute it with an equal amount of water. Make a paste. The paste should be thick enough to be easily applied on your hair. Amla, also known as Indian gooseberry, possesses an abundance of vitamin C that helps fight hair breakage and loss. Being rich in antioxidants, it even prevents premature graying of the hair. Amla also helps in conditioning and keeping split ends at bay. 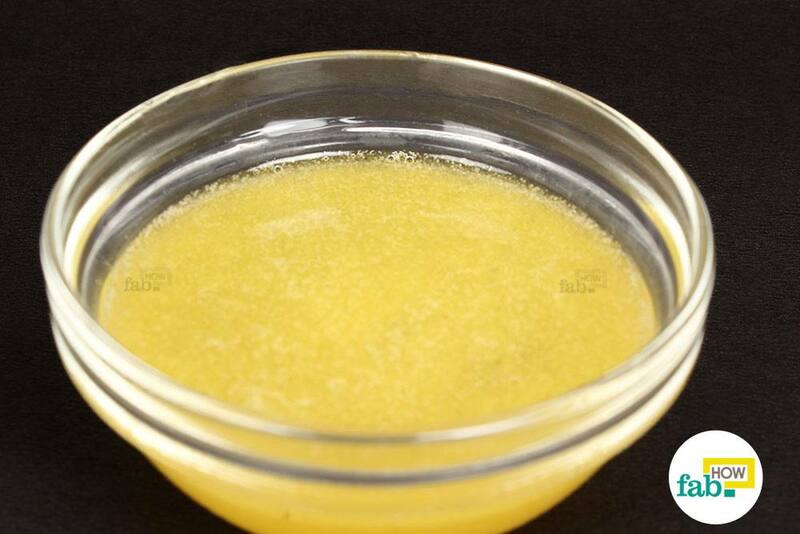 Lemon juice will help keep your scalp clean and free of dandruff. Apply the paste on your hair using a hair dye brush. 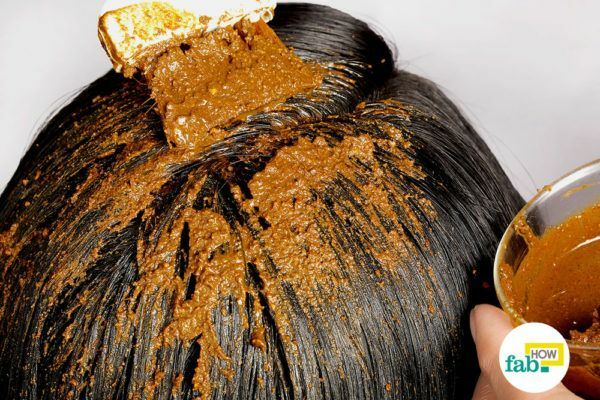 Coat the scalp, roots and hair strands with the paste. Cover your hair with a shower cap and let it stay for 30 minutes. Wash hair with cool water and a mild shampoo. Repeat the process weekly. If required, initially this remedy may also be applied twice a week. Incorporating a healthy diet into your lifestyle is the best way to promote healthy hair growth. More often than not, your hair and skin end up paying the price of a negligent lifestyle. Eating a protein-rich diet is the first step as your hair is constituted of keratin, which is a fibrous protein. 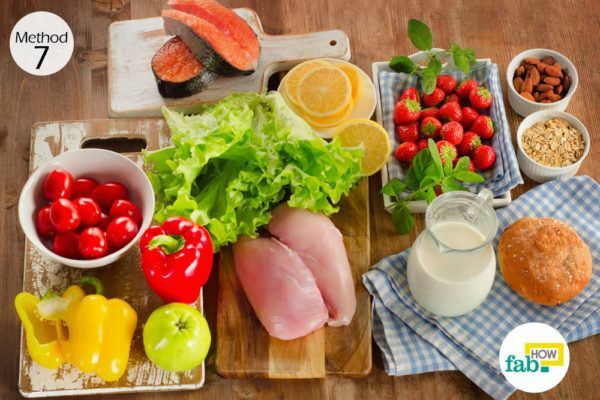 Include red meat, pork, chicken, salmon, eggs and dairy products like milk and yogurt in your diet. Foods high in protein are often also rich in sulfur, which is another major component of hair. 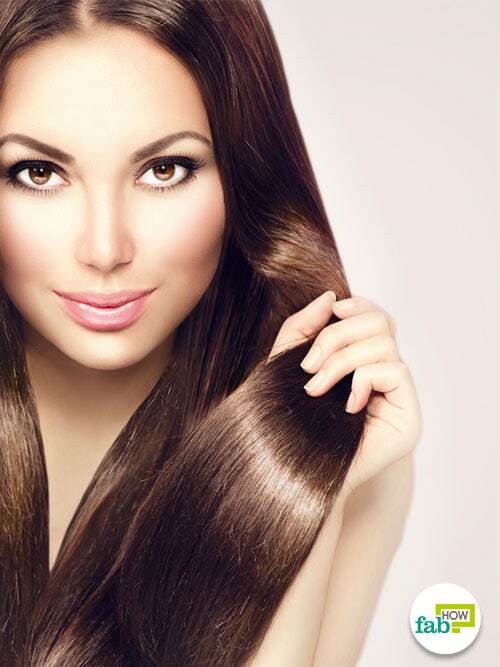 Biotin, a vitamin of the B complex, is essential to achieve healthy hair growth. While egg yolks, liver, and yeast are natural sources of biotin, you may ask your health provider to prescribe biotin supplements. Vitamin A, C, and D along with zinc, iron and omega-3 fatty acids should also be included in your diet for healthy hair growth. While oysters are extremely rich in zinc, look to spinach, guava, and sweet potatoes to also fulfill other requirements. Taking cinnamon in your diet can improve circulation in your body, which can also benefit to healthy hair growth. Eat a well-balanced diet that doesn’t exclude carbohydrates and essentials fats. Go for lean meats and sufficient roughage, so that your body can easily process the diet. Also, keep your body hydrated as loss of water can hinder hair growth and give rise to dullness in locks. In fact, men wishing to grow a beard must eat a healthy diet. 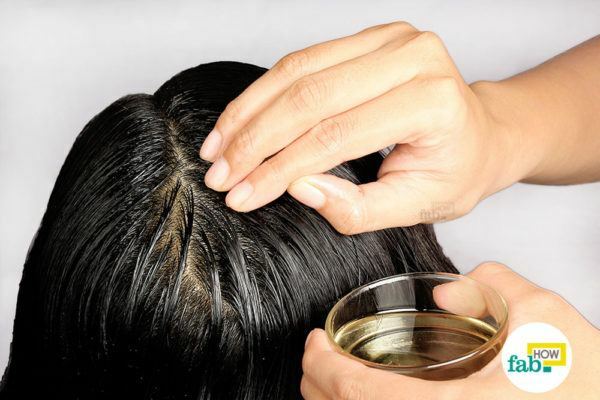 When massaging your hair with hot oil, pay special attention to the scalp and hair roots. Healthy and nourished roots and scalp play a very important role in hair growth. Get your hair trimmed every 6 to 8 weeks to nip split ends in the bud. Split ends can cost your hair its shine, strength, and length. Regular trimming will support hair growth by keeping the hair tips healthy. Brushing your hair regularly can also help promote hair growth, it helps spread the natural oils present in the scalp into the hair. Brushing can improve the blood circulation in the scalp as well, making the hair healthy. The frequency of brushing depends on your hair type. Over-brushing should be avoided. If possible, brush your hair at least twice a day – before going to bed at night and first thing after waking up in the morning. While we’re not asking you to go “no poo,” shampooing your hair daily is destructive to the health of your mane. Depending on your hair and what it goes through regularly, shampooing your hair 2 or 3 times a week should be sufficient. Always detangle wet hair with a wide-toothed comb if required. Never, ever run a brush through wet hair as wet hair is considerably more prone to breakage resulting in split ends. Follow up your showers with a cool rinse of your mane. Rinsing your hair with cool water helps to seal the cuticles, which seals in the moisture and prevents dehydration. If a hair dryer and flat iron are part of your daily regimen, your hair growth may be hindered. Avoid blow drying your hair every day and using other heat-styling tools, as they cause a lot of damage that inhibits hair growth. Silicon-based hair products should be avoided as well if you want significant growth. If your problem is severe hair loss, switch out your cotton pillowcases with silk ones. Cotton causes comparatively more friction, resulting in breakage. Never wear hair-ties, clips, tight braids or knots to bed. This weakens your hair and causes breakage. To contain long hair, wear a silk nightcap instead. Merci pour ton commentaire Christelle. Nous supposons ce que vous avez l’intention de demander, est-ce faisable pour les cheveux frisés? Donc, oui, il peut être utilisé pour les cheveux bouclés et frisés. Si vos cheveux sont naturellement frisés, soyez juste un peu prudent avec le remède 6. Il peut arriver que des amas restent dans vos cheveux même après un lavage. Pour le reste, donnez à vos cheveux un bon rinçage naturel après avoir utilisé les remèdes, pour observer les meilleurs résultats dans un mois.